BULLET FOR MY VALENTINE have revealed the official video for "Not Dead Yet". The song lives on their current studio album, Gravity, out now via Search & Destroy/Spinefarm Records. Frontman Matt Tuck said, "We shot our latest video for "Not Dead Yet" in Japan after our Summersonic 2018 performances. We've never done a video there before so we thought 'Why not?!' Visually, it's stunning thanks to the amazing work by Japanese filmmakers Maxilla. We love this track and can't wait for you all to see the new video." Director Takahito Matsuno of Maxilla Inc.said, "It is such an honor to shoot BFMV, especially in Tokyo! Thank you for everyone involved in this project and I hope the people reading this like it. ARIGATO!" 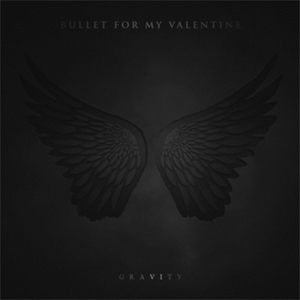 Additionally, BFMV will release a digital deluxe version of current studio album, Gravity, on October 26. Pre-orders are live HERE. This deluxe offering includes the standard 11 original album tracks plus these new songs: "Breaking Out" and "Crawling"; a spectacular cover of IMAGINE DRAGONS' "Radioactive"; "Letting You Go" (Zardonic Remix); and three piano versions of fan favorites "Breathe Underwater", "The Very Last Time" and "Under Again". This very special format is finished with a live version of "Don't Need You", recorded at the band's now-legendary headlining performance at Brixton Academy in 2016. Tuck further elaborates, "We're stoked to announce that we're about to release a deluxe version of our latest album Gravity! It features many new tracks not on the original release and a crushing version of the IMAGINE DRAGONS' anthem "Radioactive". Make sure you pre-order your copy now!! Thank you."